Customize your floor with Response High-Resilience™. Give your athletes improved shock absorption so they can perform at their highest levels and keep playing longer while the safety of built in Lateral Forgiveness™ and improved resilience, customized for your sport. Response High-Resilience is specially formulated to cover aging floors. With Responsive HR you avoid potentially large abatement costs and possible exposure to hazardous materials that come from replacing old worn-out floors. Response HR is engineered with Lateral Forgiveness™ for reducing joint strain and improved traction and ball response. Defense™ is a proven performerfor all kinds of activity, providing the best in class, comfortable surface for active play. 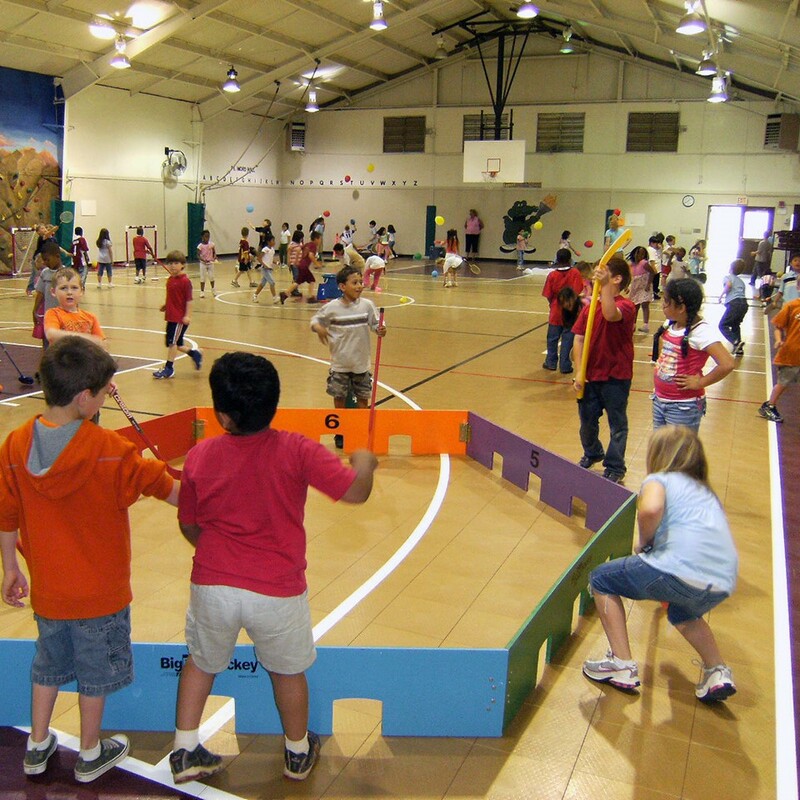 Its low cost makes it an excellent surface for elementary and middle school gyms and activity centers and the quick install some will help you get your facility back up and running as soon as possible . 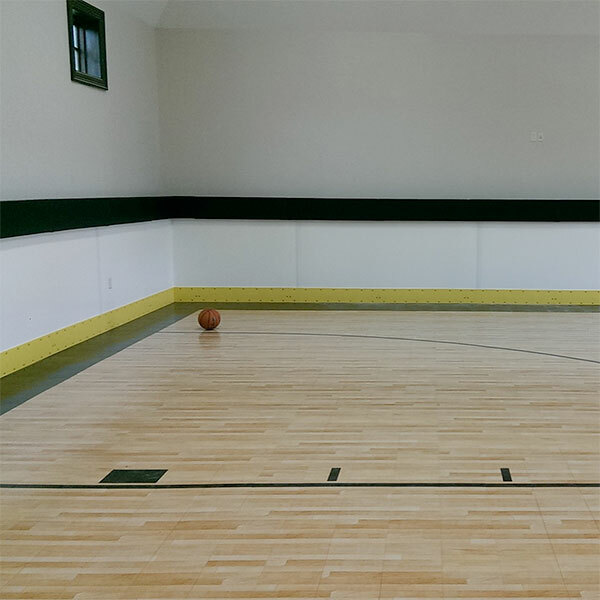 Taraflex cushioned vinyl sports flooring gives you the sophisticated wood look and finish for your gymnasium without the high cost of a wood floor installation and maintenance. 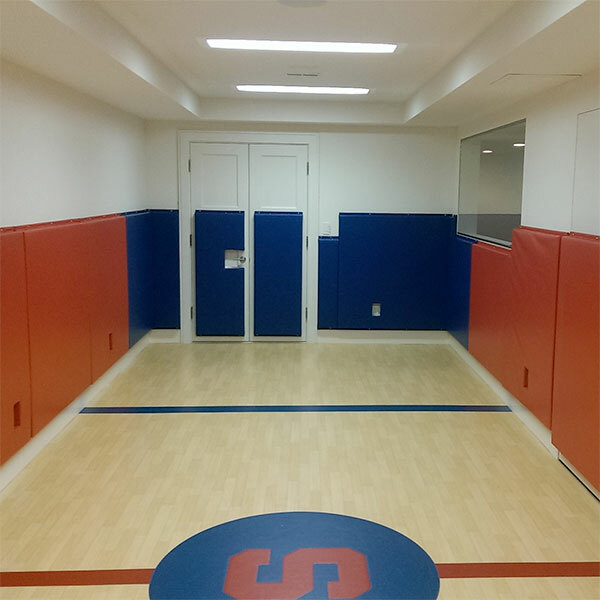 Our cushioned vinyl sports flooring is versatile and lets you play a variety of sports and perform many different activities. 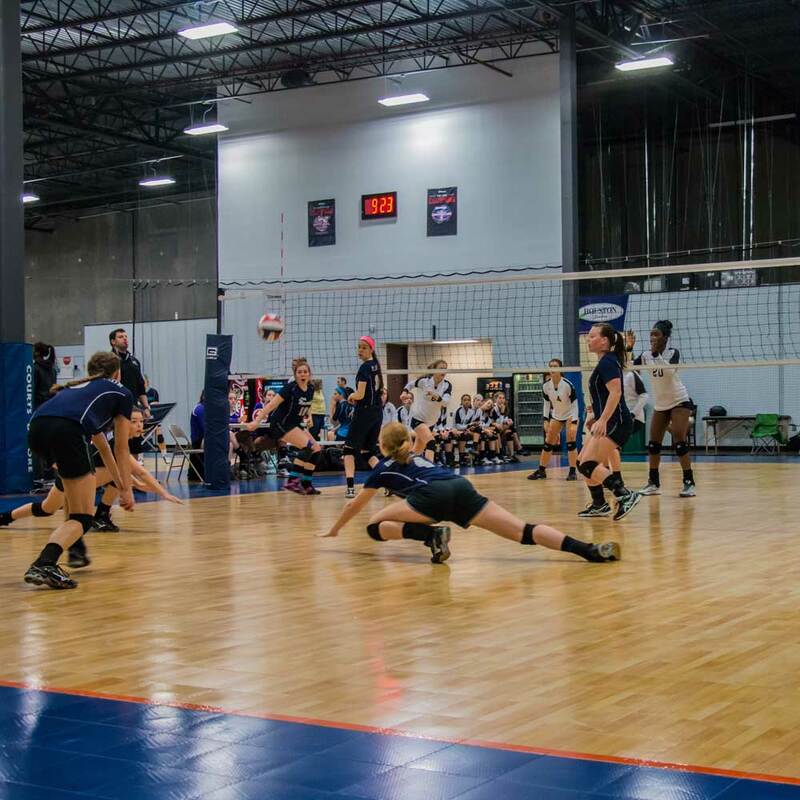 The cushioned rolled rubber flooring system is the ideal solution since it is the highest quality resilient sports flooring for athletic or multi-purpose use that offers the most safety and force reduction to prevent long-term injuries. Everlast® understands an athlete's drive to excel in competition. Being the best always comes with a price, and the pursuit of victory often amplifies the opportunity for injury. Without sacrificing speed or performance, Everlast® provides the ideal amount of impact absorption over the life of the surface which allows athletes to do what they love, longer. 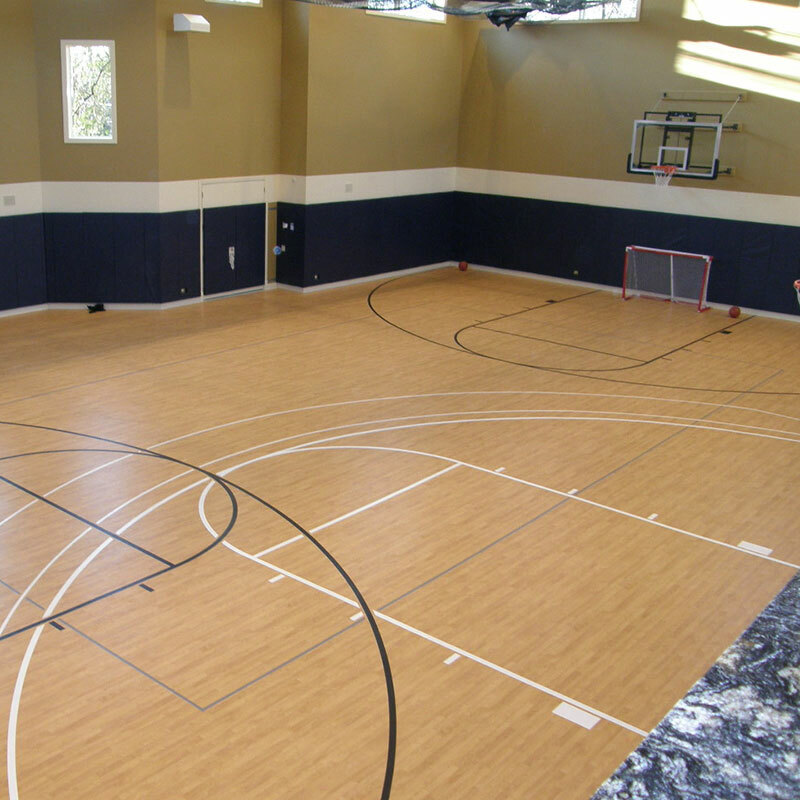 Everlast® sports surfacing can be installed temporarily or permanently and is the perfect choice for home gyms, fitness areas, weight rooms, aerobics, and cross-fit training centers. The eco-friendly, recycled rubber flooring comes in rolls and interlocking tiles that are available in 35 standard colors and unlimited custom colors. 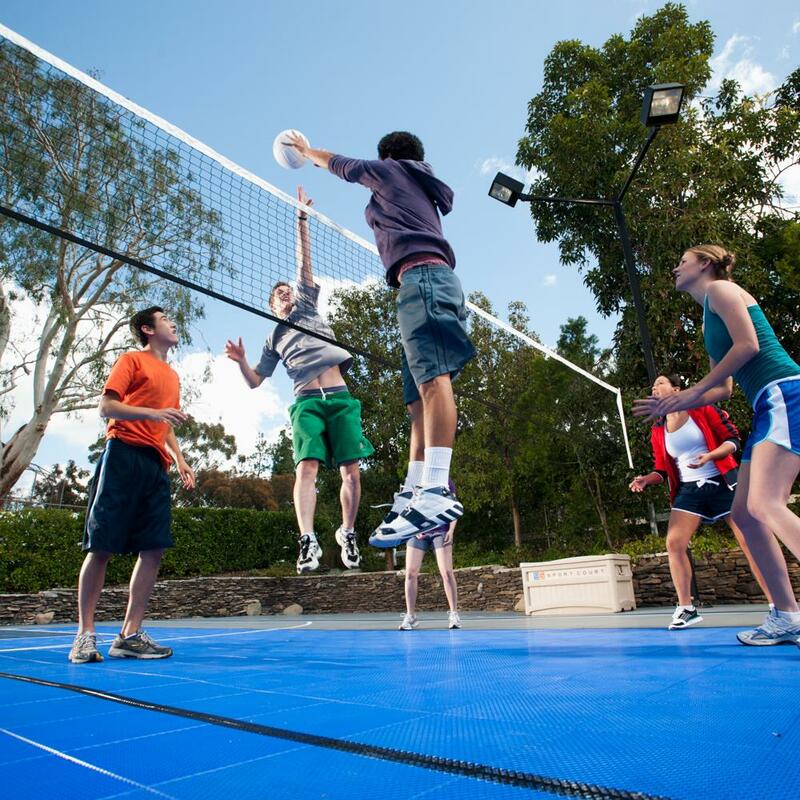 The safest outdoor court in the world, PowerGame™, features superior traction with the lowest skin abrasion of any outdoor court surface. It is made of the highest quality materials and UV stabilizers to protect your investment. The patented Double-Tier shock absorbing grid and Lateral Forgiveness™ reduce joint strain and fatigue to help your family play longer and more safety than ever. It's the highest rated surface available on the market. The ideal surface for racquet sport players of all abilities. 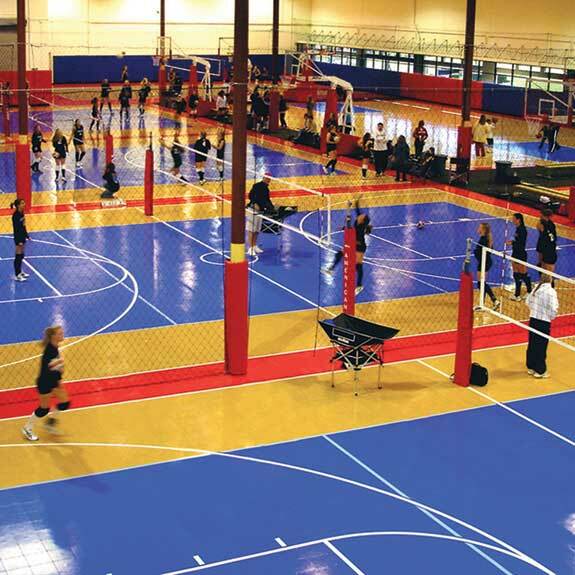 SportDeck™ retrofits over most hard surfaces and outlasts conventional acrylic courts. SportDeck™ has been the stalwart of outdoor surfaces for nearly two decades and provides excellent ball control and pace of play while reducing joint stress and fatigue with patented Lateral Forgiveness™. 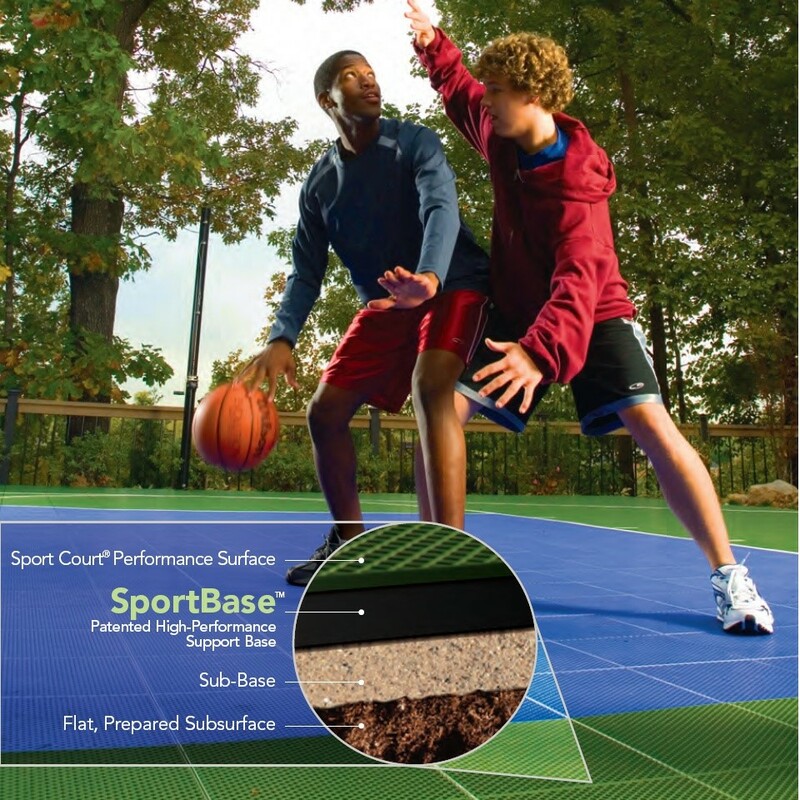 SportBase™ is a high-performance concrete replacement for your Game Court or outdoor court surface. 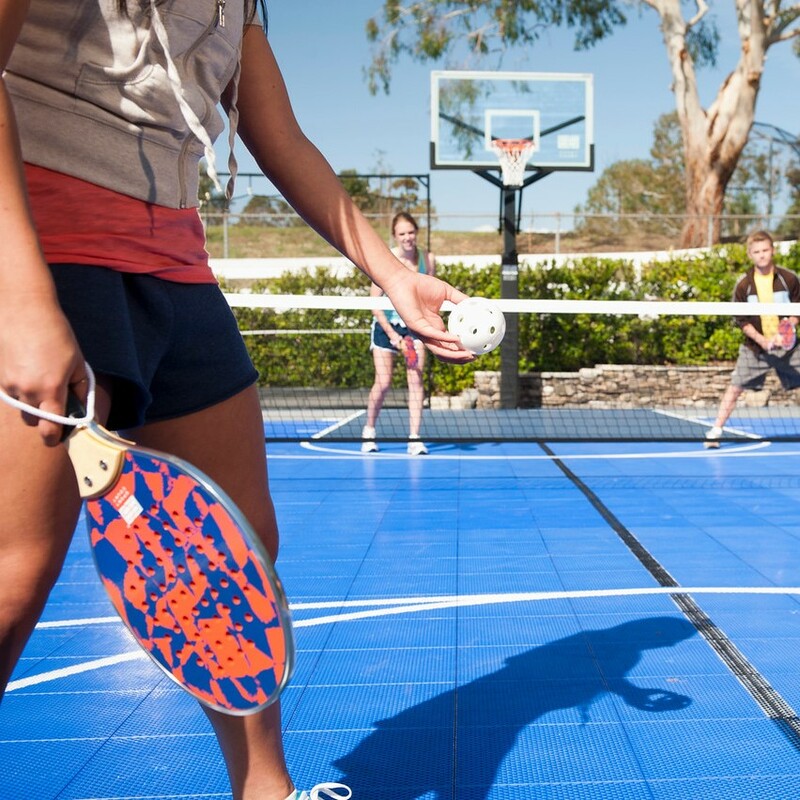 SportBase™ is made from 100% recycled material and was specifically engineered for use under a Game Court system. It's what's underneath that counts. Better your golf game and improve your handicap with a Sport Court St. Louis putting green. 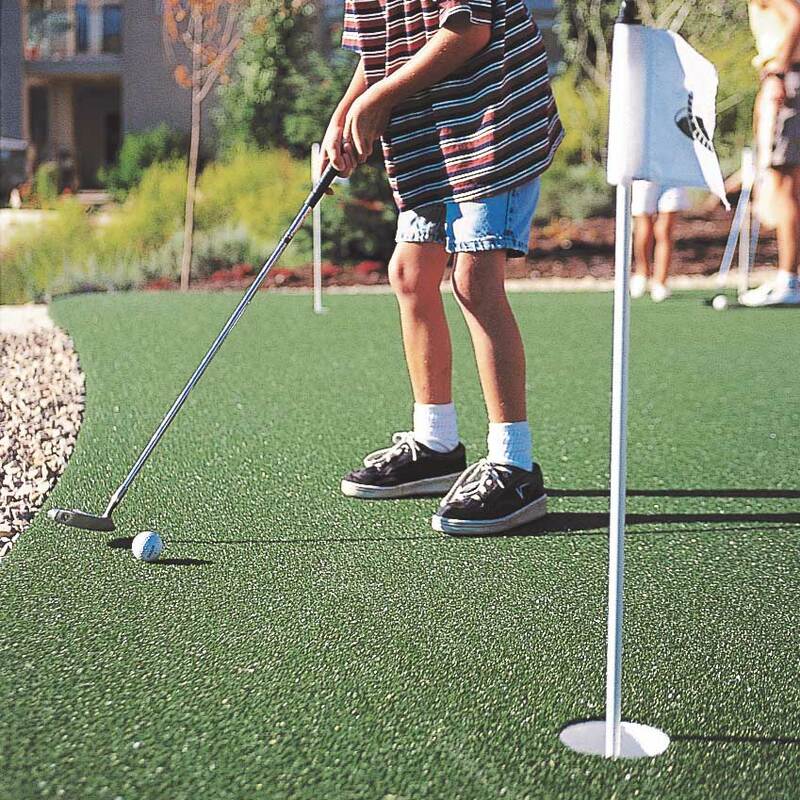 We can install a putting green right in the comfort of your own backyard with our professional-grade synthetic grass. Each of our putting greens are custom built to your specifications; with the slope and speed you want, we use only the most beautiful, durable materials available to maintain its color and performance year-round, for many years of fun and stress relief in your own backyard. 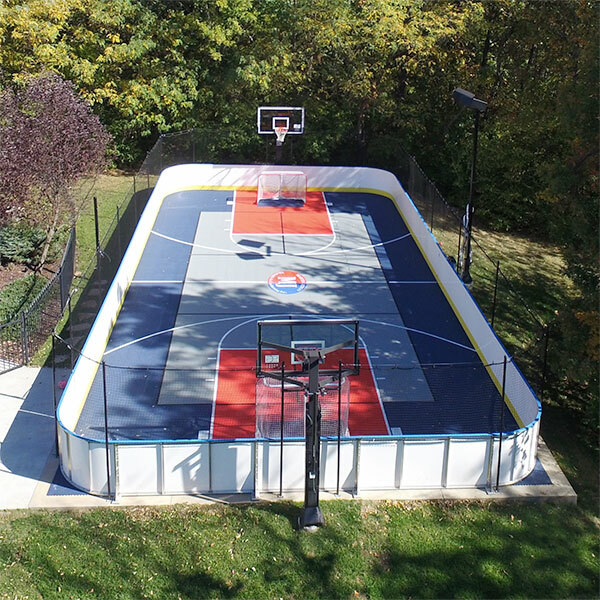 Sport Court™ has designed professional quality in-ground basketball hoop systems that ensure the best in performance and safety. 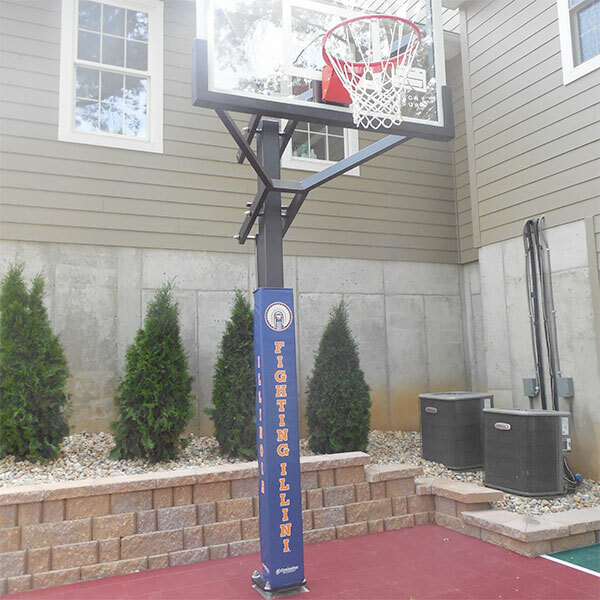 Our Slam Systems feature superior corrosion protection and an advanced height adjustment system for easy use by players of all ages. 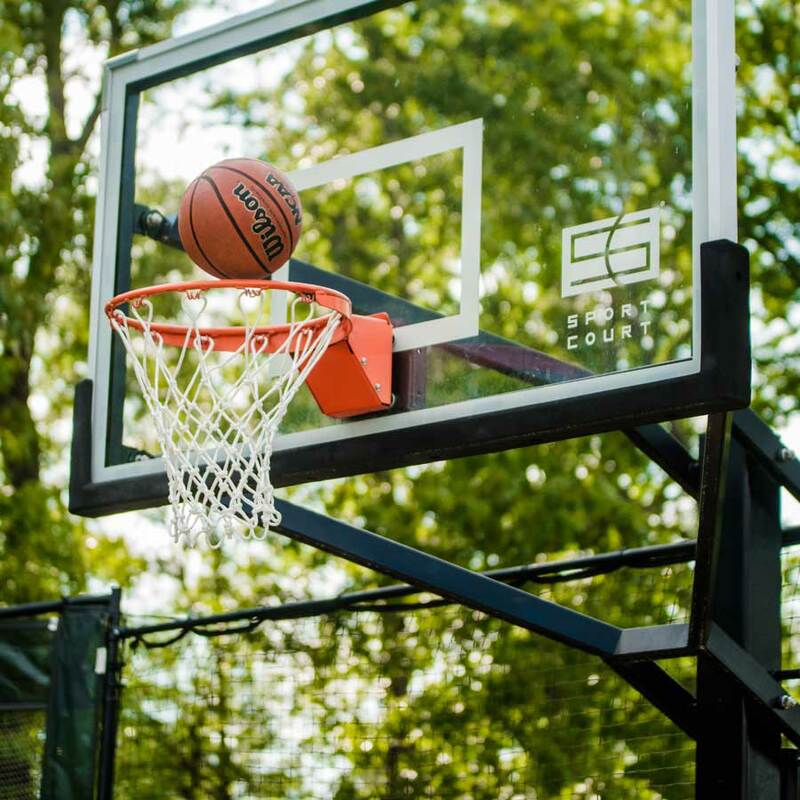 Tempered glass backboards deliver pro-level ball rebound, and the included backboard and pole pads provide increased safety. 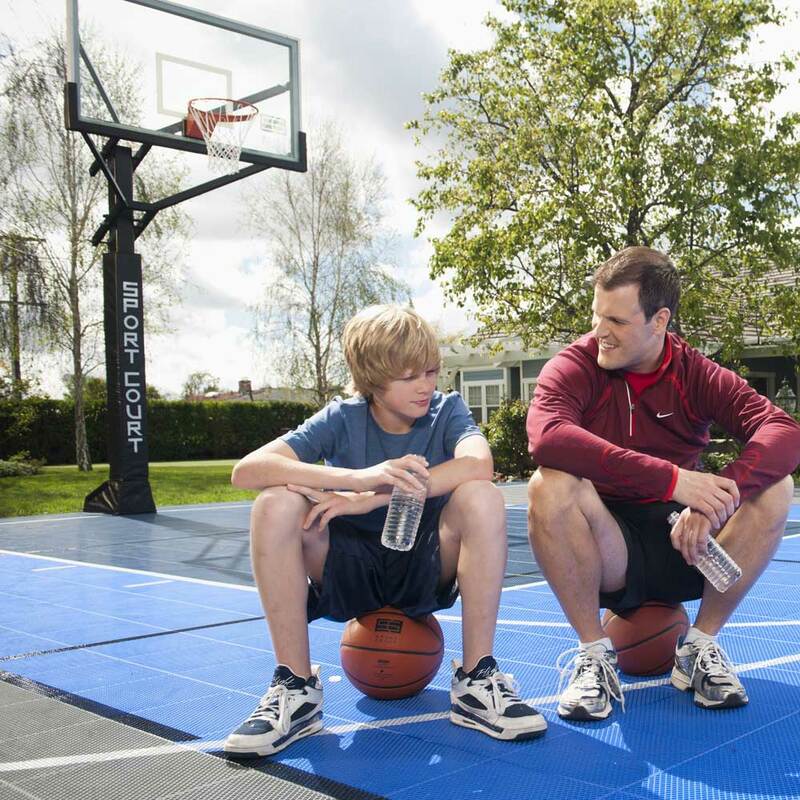 Sport Court™ Light Systems extend your playing time with your family. 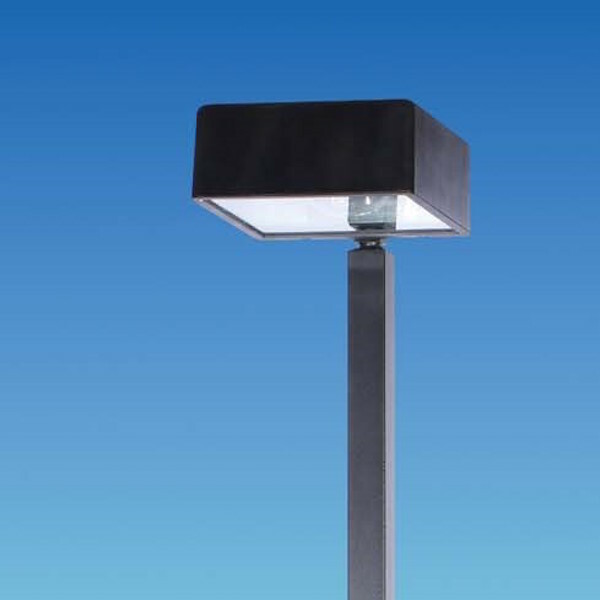 Our single and double headed lighting solutions let your family play a set of tennis or game of H-O-R-S-E well after the sun goes down. Sport Court™ Rebounders can be integrated into your ball containment, providing individual practice opportunities for soccer, tennis, baseball, and basketball with the springy ball-return netting. 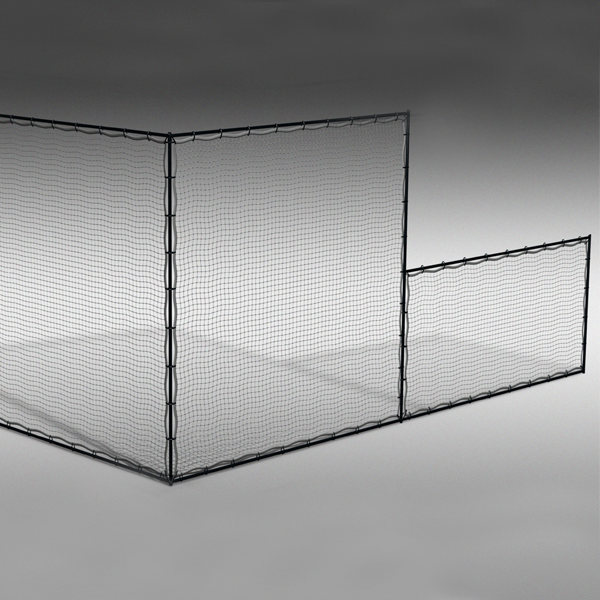 Sport Court St. Louis offers Sport Court® Multi-Nets systems. They are designed to easily adapt to your net game needs. Set you nets fotennis, badminton, men’s or women’s volleyball, and adjust easily and quickly between activities. 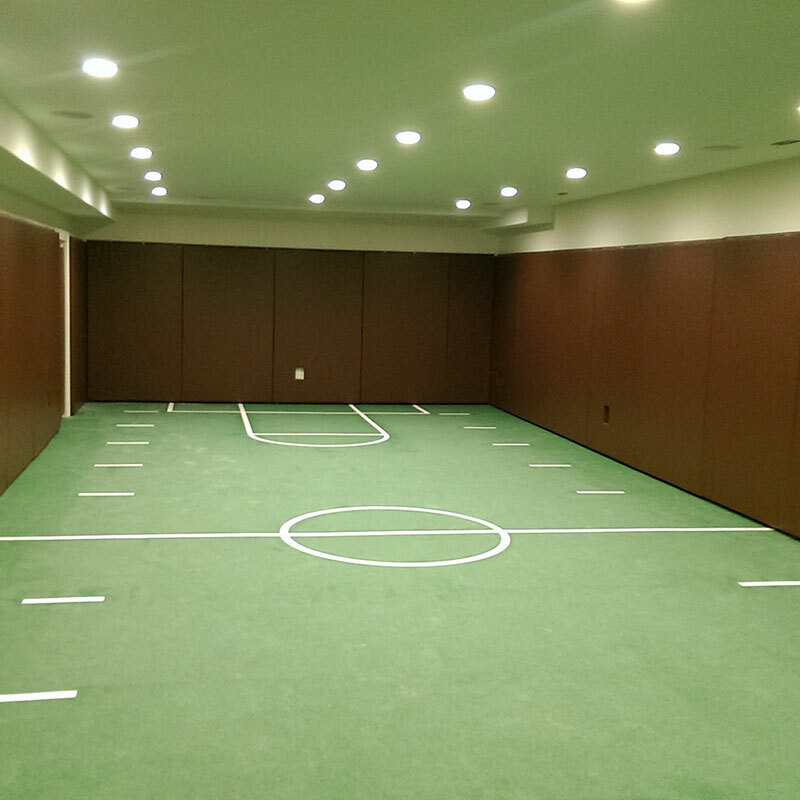 Sport Court St. Louis can customize your indoor or outdoor court to give the roller sport enthusiest on your team the experience of playing with the pros. 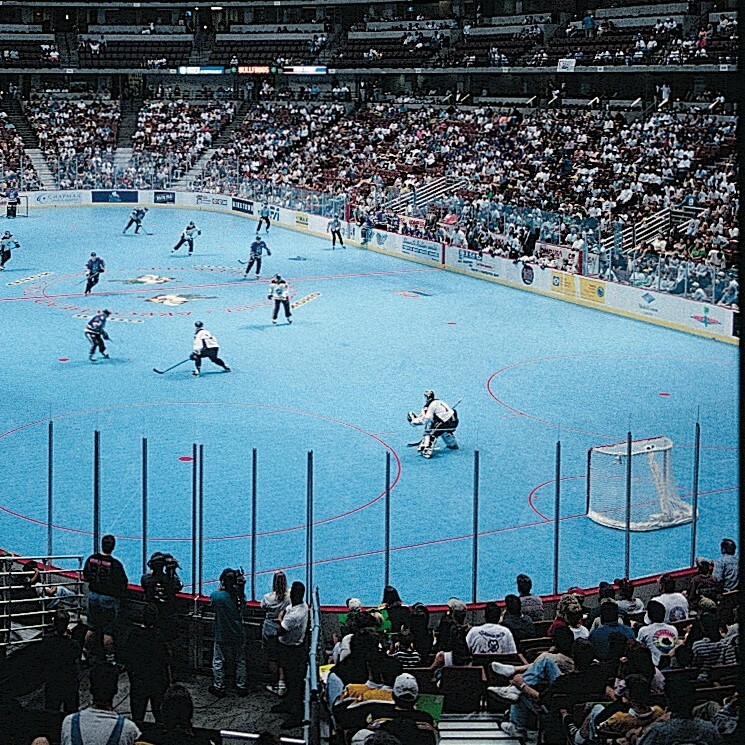 Our Sport Court surface was specially designed to handle your most aggressive turns, jump-stops, and slides, providing a smooth, fast, fun surface for all the hockey action you can handle. Complete the package with customizable D1 Backyard Rinks hockey boards, netting, hockey goals and more. 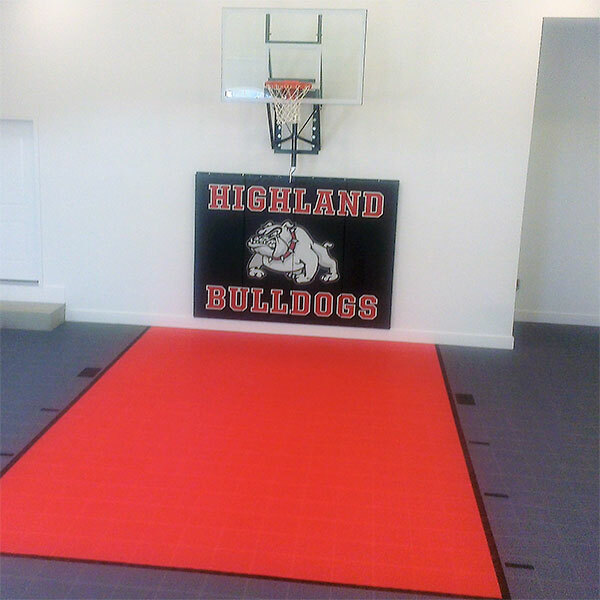 Keep your players safe by customizing your court with wall pads. Want to show off your school spirit? Choose from a selection of 12 colors and add the logo of your favorite team to show your pride. Several mounting options available. 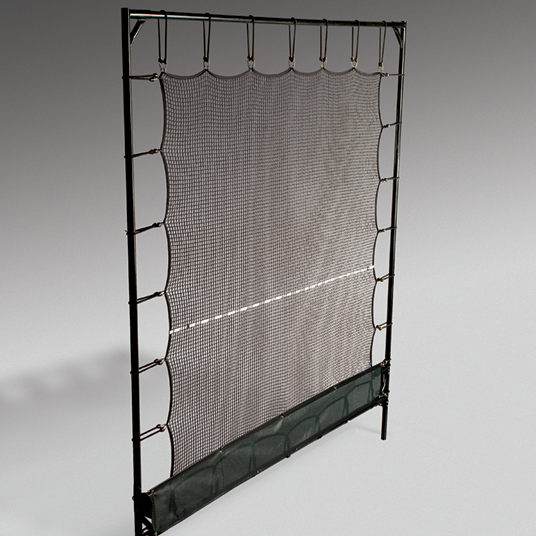 Basketball pole pads, corner wall padding, light pole padding backstop padding, and custom options available. 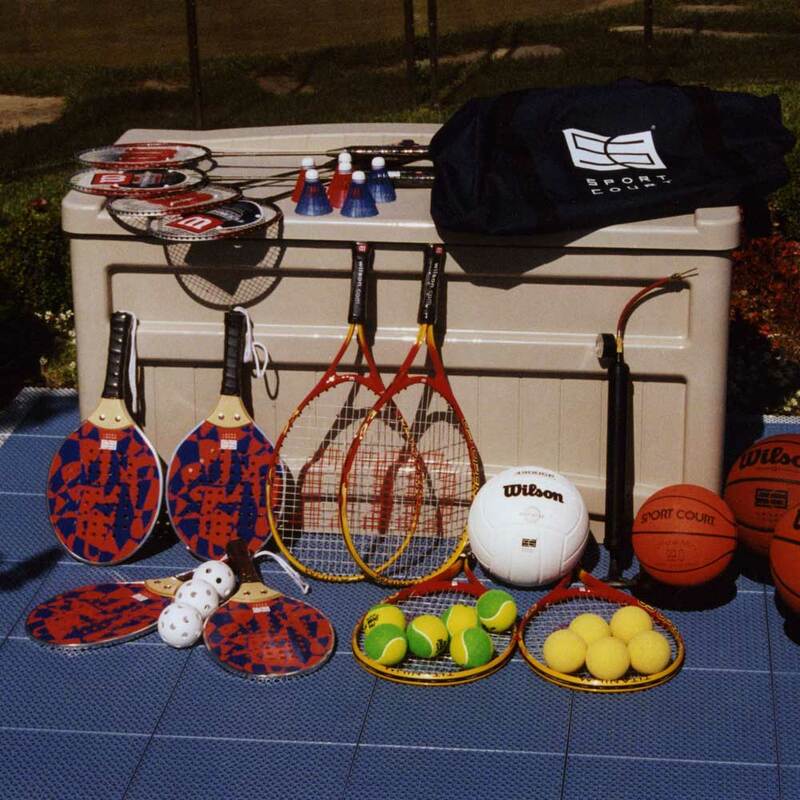 Sport Court St. Louis offers Sport Court® Fun Packs. 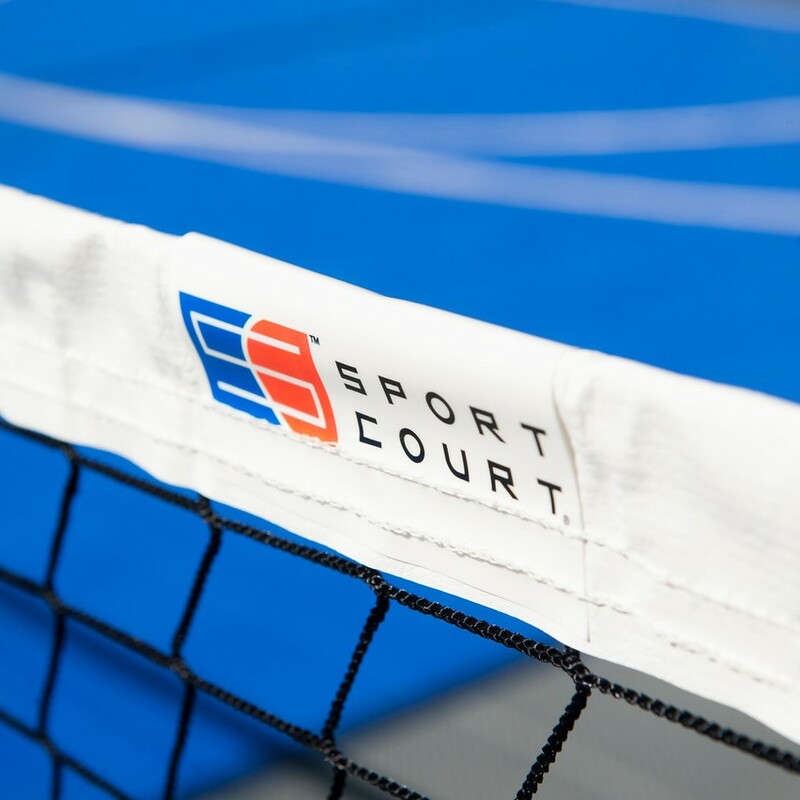 They provide you with a wide range of the highest-quality balls, racquets and other gear – everything you need for maximum enjoyment of your backyard court.